This ski tour is suited for beginners and skiing pleasure-seekers. However, it has to do with a prestigious form of this sport: skiing away from the prepared slopes and far away from the pistes. Therefore, a mastery of parallel ski turns in every type of snow is a precondition. 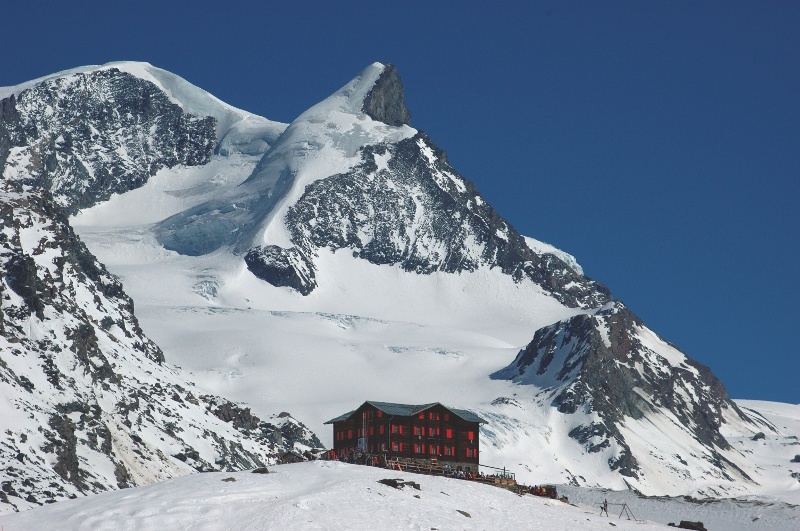 The climb from Fluhalp (2,616 m) to Pfulwe (3,314 m) lasts about two hours. 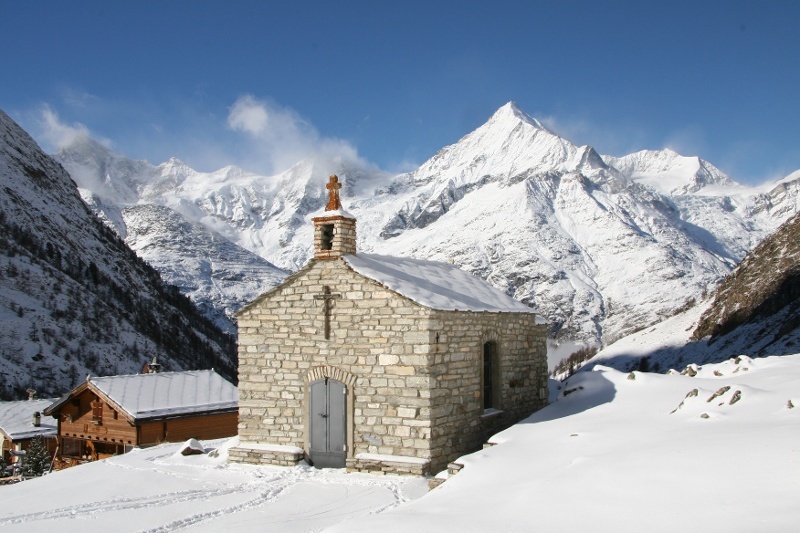 Once at Pfulwe, one has a panoramic view of some of the most impressive four thousand-metre peaks in the Alps: Allalin and Rimpfischhorn, Monte Rosa Massif, Matterhorn, Dent Blanche all the way to the Weisshorn. The effort climbing was worth it, because there is now a downhill run with a drop of about 1,100 metres through powder snow to (2,214 m) and then further down until one is at Täsch. From there, one can take a taxi or the shuttle train back to Zermatt. We recommend for this tour to book eventually a mountain guide who knows well the place. 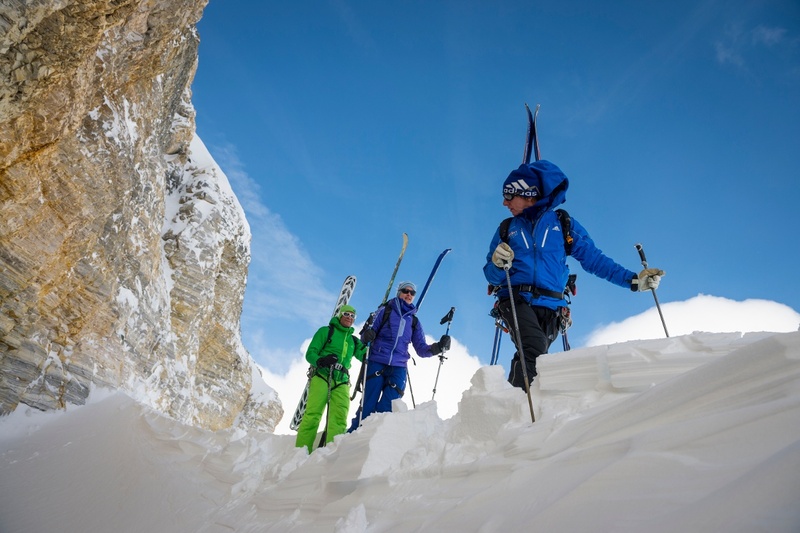 Crampons, climbing harnesses and helmets can be rented in different sport shops in the village. It is forbidden to walk on the ski pistes.